Going by the same rules I did when I made my last "best of anime" list, I chose only to include anime titles that I had watched during the year of 2014. The anime in question aren't necessarily from 2014, but a few of them are. I think this list is a really strong one because I watched a lot of killer titles last year and just about all of them were first time viewing. Those that weren't were ones I could barely even remember like Mobile Fighter G Gundam or Eureka Seven. Naruto Shippuden is on this list even though I had seen a few episodes way back when, but I didn't exclude it because I had only seen a few episodes rather than anywhere close to as many as I viewed in 2014. This list was tough to make, but also easy. The ranking practically decided itself, but choosing which ones to exclude wasn't easy. I just watched a lot of great titles even though I didn't watch as many last year as I would have liked. 10. Toradora! - This snuck up on my list. It's the only entry from the romance category on this list (unless you count the one where you're stuck in a video game). While I will watch romantic stuff I never really rank it high. I like diversity and that's why I watch different stuff, but this one left an impression. It's fantastic. 09. Outbreak Company - This is my dream. I want to be an ambassador of the anime world, setting up a school where I get teach the uninitiated about the powers of moe and fanservice. Until then I guess I'll just have to settle for blogging. 08. No Game, No Life - Do not underestimate the power of the NEET. After three years in the workforce, I can honestly say that my former NEETness is a reason for my success. I have no life outside of anime and therefore I can pay serious attention to details that no one else cares about. We are 2D kings trapped in a 3D world, but we try to make the most of what we have. However, if I were ever to get trapped in an anime (the equivalent of the main characters getting trapped in a game world), I don't think you'd find me complaining too much. As long as the anime I get trapped in isn't Higurashi or School Days. 07. Naruto Shippuden - If not for its filler this would be one of my all-time greats, but there's just so much filler. So much that even Dragonball Z looks perfectly trimmed and edited by comparison. But Dear God, is it ever amazing when the filler ends. 06. The Irregular at Magic High School - Discrimination in the schoolyard between different levels on magicians. Just don't make the mistake of discriminating against the wrong guy or he'll make you look silly. 05. 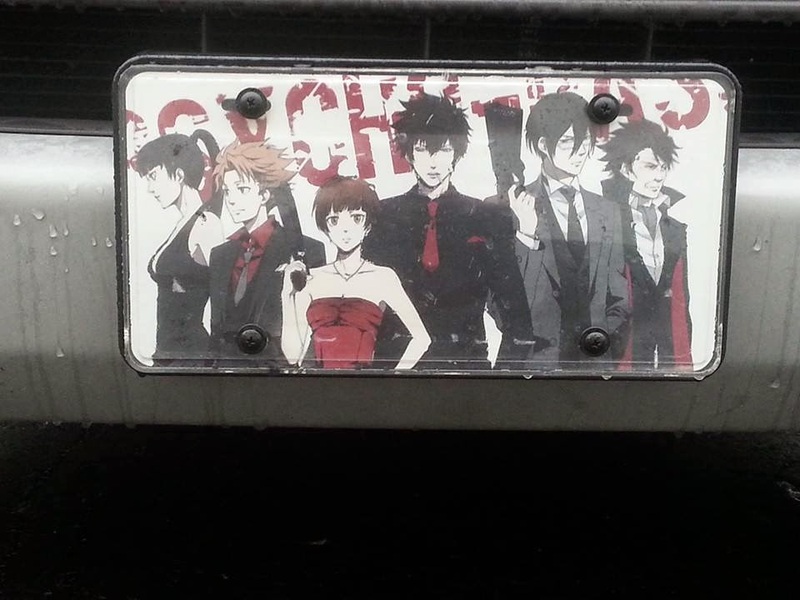 Psycho Pass - It's the front tag on my car. That should say is all. 04. Sword Art Online - Number four? Only number four??? I can't believe myself, but I did watch three anime that were better. 03. Knights of Sidonia - Instant classic as far as I am concerned and the pace is held up throughout the entire series. Second season, please! 02. Terror in Resonance - An anime that will, ahem, "blow" you away by how good it is. Short, but sweet. 01. One Piece - Not only is this the best anime I came across in 2014, but it's also one of the absolute best of all time for me. Maybe the best. It's rarely on filler, but when it is the filler doesn't last that long. The characters are awesome and everyone has a background and is fleshed out. I care for everyone. Except for Foxy. That dude was annoying.